Welcome to one of the best ski areas worldwide. Legendary 350 kilometers of piste stand for unforgettable skiing adventures. The San Gian-dream location for all skiers: The signalbahn is right on your doorstep. 350 kilometers of piste stand for unforgettable skiing adventures. NEW: ski pass extra charge just CHF 38.- per day per person! Thanks to its altitude of 1800 to 3303 metres above sea level, snow in winter is guaranteed. State-of-the-art facilities keep waiting times to a bare minimum. Carver paradise, freeride slopes and wide beginners’ pistes ensure an unsurpassable winter sports experience. Silver linings to the horizon. The Engadin is THE cross-country skiing paradise. 200 km ski trails wind through the valley - always fresh groomed and along a fabulous scenery! White Turf, Polo World Cup, Engadin Ski-Marathon - in Winter, one top-event joins the next. Thanks to San Gian`s central location all events are within reach. But taking it easy is also an option. 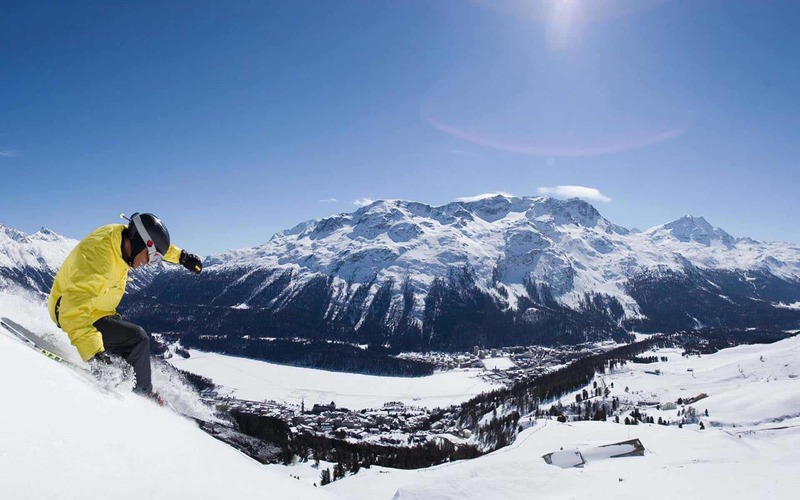 St. Moritz is a veritable winter paradise for families. A huge range of activities and adventures especially for children guarantee an exciting holiday. Legendary and popular: the Engadin ski marathon. This year, the fun run over the classic marathon distance of 42 km is celebrating its 50th anniversary. The Cresta track was built back in 1885 as the world’s first skeleton run and is owned by the St. Moritz Tobogganing Club. Between St. Moritz and Celerina, it covers a distance of 1,214 metres and a difference in altitude of 157 metres. Every day between the end of December and the beginning of March, the track hosts spectacular races and practise runs.